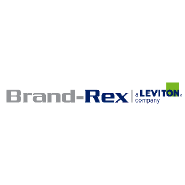 Brand-Rex / Leviton also manufactures high-performance speciality cabling for extreme environments, including military, rail, automotive, industrial, and aerospace applications. These solutions, made at our Leigh, England, factory carry the Brand-Rex brand, a trusted name in high-performance cabling for more than 45 years. Leviton Network Solutions supports commercial and residential networks around the globe with an unparalleled selection of network infrastructure products and systems. From the data centre to the desk, our proven end-to-end performance keeps people connected.